(Marquette, Michigan) – The founder of two interfaith environment groups is often asked by people around the globe to explain the best way to start an effective similar interfaith group in their own community. 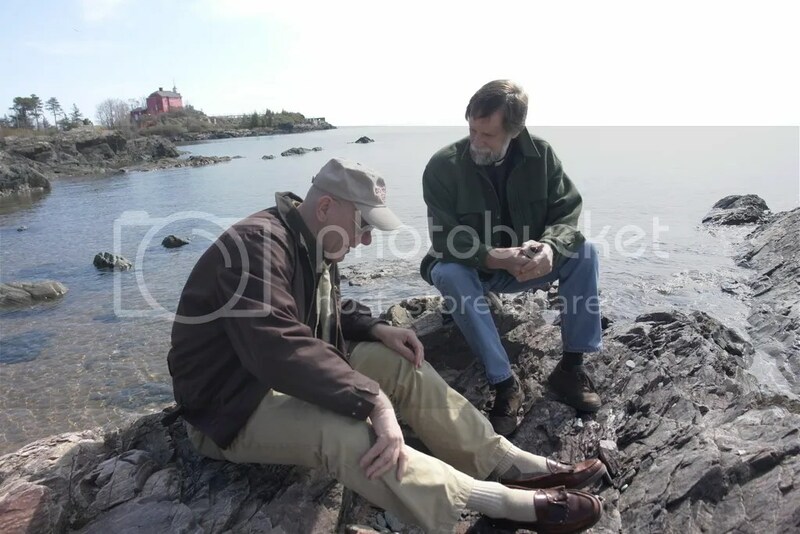 Along the shores of Lake Superior, creating similar interfaith environmental groups was discussed by leaders of the Earth Healing Initiative and the Upper Peninsula Earth Keeper Initiative, both based in Marquette, Michigan. The non-profit Earth Healing Initiative provided interfaith volunteers and participants top numerous cities during the EPA Great Lakes 2008 Earth Day Challenge. The challenge involved the recycling of millions of pounds of electronics and the proper disposal of millions of pills and other pharmaceuticals in April 2008 during over 100 projects across eight states that make up the Great Lakes Basin. This warm and calm day in May 2008 produced the tiniest of ripples in an unusually calm Lake Superior as wildlife heralded spring in the background. The serene setting was perfect to discuss interfaith environment work and how it can be created in others areas of the world. Earth Healing founder Rev. Jon Magnuson co-founded the Earth Keeper Initiative that started when nine northern Michigan faith leaders signed the Earth keeper Covenant in 2004. The bishops and other faith leaders pledged to reach out to Native Americans and actively participate in interfaith environment projects. This video includes the thoughts of Rev. Jon Magnuson, director of Lutheran Campus Ministry (LCM) at Northern Michigan University (NMU) in Marquette, MI; and Rev. Tesshin Paul Lehmberg, head priest of Lake Superior Zendo, a Marquette Zen Buddhist temple; and Lutheran Bishop Thomas A. Skrenes of the Northern Great Lakes Synod (NGLS) of the Evangelical Lutheran Church in America (ELCA). Rev. Lehmberg and Bishop Skrenes were among the nine original signers of the Earth keeper Covenant. 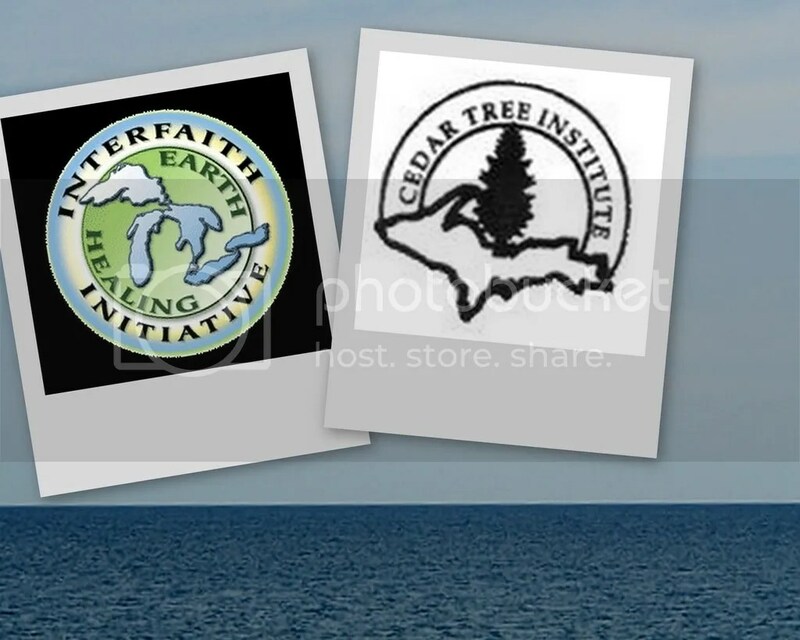 The non-profit Cedar Tree Institute (CTI) co-founded the interfaith Earth Keeper Initiative in Michigan’s Upper Peninsula that works closely with ten faith traditions on a wide range of environment projects that include college students, at-risk teens, American Indian tribes and others. Rev. Magnuson is the executive director of the CTI. The CTI Interfaith Earth Healing Initiative is developing a relationship with the same faith communities in northern Michigan and others across the Great lakes. The faith communities include Roman Catholic, Episcopal, Lutheran, Presbyterian, United Methodist Church, Unitarian Universalist, Baha’i, Jewish, The Religious Society of Friends (commonly known as the Quakers) and Zen Buddhist. The Earth Healing Initiative assisted challenge organizers by offering interfaith liaisons to volunteer and encourage members of local churches and temples to participate in the Earth Day related events in their area. This video on the projects connected to the Great Lakes 2008 Earth Day Challenge was made possible by a grant from the US Environmental Protection Agency in collaboration with the EPA’s Region 5 office in Chicago the EPA Great Lakes national Program Office – also in Chicago – in cooperation with the non-profit interfaith Earth Healing Initiative in Marquette, Michigan. The Earth Healing Initiative involves American Indian tribes and “a coalition of churches synagogues and other faith traditions joining together to heal protect and defend the environment” said Rev. Magnuson, Earth Healing founder. The next project during the summer of 2008 involves encouraging bee and butterfly pollenization through means that include creating habitat thanks to help from at-risk teens and American Indian tribes. The pollen project is important because billions of bees have died prematurely across the country and the problem has become alarming in the Midwest. More on this project in the near future. This entry was posted in Uncategorized and tagged ABC News, Abenaki, acid, acid mine, acid mine drainage, air, Akime, Akimel, Alabama-Coushatta, Aleut, American Indian, Ann Arbor, Apache, Apalachee, Arapaho, Arikara, Arkansas, Art Neskahi, Assiniboin, Aurora Borealis, Bahai, Bannock, Blackfoot, Bless, broken, Cable News Network, Caddo, Canarsee, Catawba, Cayuga, Cayuse, CBS News, cell phones, ceremony, Cherokee, Cheyenne, Chicago, Chickasaw, Chinook, Chippewa, Christian, church, City of Milwaukee, Cleveland, climate, climate change, CNN, Coeur d'Alene, College of Menominee Nation, Colville, Comanche, communities, computers, conference, Cortez, Cortez Journal, Cree, cross, Crow, crow creek, culture, Cuyahoga County, Dakota, Delaware, Detroit, Detroit Free Press, Detroit News, Diné, diocese, disposal, DPW, drinking water, Duluth, e-waste, eagle, Earth, earth day, Earth Day 2008, Earth Healing Initiative, Earth Keeper Initiative, Earth Keepers, ecology, ecumenical, ELCA, electronics, environment, environmental, EPA, EPA Deputy Regional Administrator Bharat Mathur, EPA Great Lakes National Program Manager Region 5 Administrator, Erie, Eskimo, Evangelical Lutheran Church of America, faith, faith traditions, faith-based, First Nations Peoples, fish, Fort Wayne, Fox News, Gary, glacier, global warming, God, grain, Great Lakes, Great Lakes 2008 Earth Day Challenge, Great Sioux Nation, Green Bay, Gros, Haida, Harlan McKosato, heritage, HHW, Hidatsa, Hoopa, Hopi, household hazardous waste, Huron, ice caps, Illinois, incinerator, Indian, Indiana, indigenous, Indigenous Issues, Indigenous peoples, interfaith, intolerance, Jesus, Jewish, Kansa, KBIC, Keweenaw Bay Indian Community, Kickapoo, Kiowa, Klallam, Klamath, Kootenai, Kwakiutl, l O'Odham, lake, Lake Erie, Lake Huron, Lake Michigan, Lake Superior, Lakota, Lakota Sioux, landfill, landfills, Lumbee, Lutheran, Lutheran Campus Ministry, Mahican, Maidu, Makah, Malecite, Mandan, Manhattan, Maricopa, Marquette, Marquette University, Mary A Gade, media, medical care, Medicine Cabinet Clean Out Day, medicines, melting, Menominee, Menominee Indian Tribe of Wisconsin, Michigan, Milwaukee, Milwaukee Department of public works, Milwaukee Journal, Milwaukee Mayor Tom Barrett, Milwaukee Metropolitan Sewerage District, Milwaukee Sentinel, Minnesota, Mission Indians, Modoc, Mohave, Mohawk, Mohegan, Montagnais, multicultural, mutation, Narragansett, Naskapi, Natchez, Native America Calling, Native American, Native American Theology, nature, Navajo, Navajo Times, NBC News, New Mexico, New York, New York City, news, newspaper, Nez Percé, NMU 2008 Indigenous Earth Day Summit, non-profit, Nootka, North American Theology, northern, Northern Michigan University, Northern Michigan University Native American Studies, O'Odham, Ohio, Ojibwa, Ojibwe, Okanogan, Oklahoma, Omaha, Oneida, Onondaga, Osage, Oto, Ottawa, Paiute, Papago, Patriotic, Pawnee, Pennacook, Pennsylvania, Penobscot, Pequot, pharmaceutical waste, pharmaceuticals, pills, Pima, planet, pluralism, poisons, pollution, Pomo, Ponca, Pope, Potawatomi, Powhatan, prejudice, Presbyterian, proper disposal, Pueblo, Puyallup, Quapaw, Quechan, racism, recycle, religion, respect, Rev Jon Magnuson, river, rivers, Roman Catholic, Rome, Rosebud, Sabaoth, Sacagawea, Salish, Santee, Sarsi, Sauk, See Sac, Seminole, Seneca, Shawnee, Shoshone, Shuswap Sioux, Sioux, Sioux Nation, South Dakota, Southwest Intertribal Voice, species, species extinction, Spokan, state of Michigan, stream, Sturgeon, sulfide, sulfide mine, Sulfide mining, sulfuric acid, Syracuse, Tillie Black Bear, Tobacco Nation, tradition, tree, trees, tribal, tribe, Tribune, truth, Tsimshian, Turtle Island, Turtle Island Project, Tuscarora, TV, United Methodist Church, United Nations, United States, United States Environmental Protection Agency, Universalist Unitarian, University of Minnesota, unwanted, Upper Peninsula, USEAP, Ute, UU, Ventre, volunteer, Wahkon, Wampanoag, Wappinger, Washo, water, Watersmeet, Western Lake Superior Sanitary District, Wichita, wild rice, wildlife, Winnebago, Wisconsin, WITW, world, world news, Wyandot, Yakima, Yamasee, Yankton Sioux, Yellow Dog Plains, Yokuts, Yuma, Yurok. Bookmark the permalink.